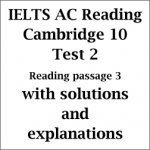 This IELTS Reading post deals with a total solution package for IELTS Cambridge 12 Reading test 8. 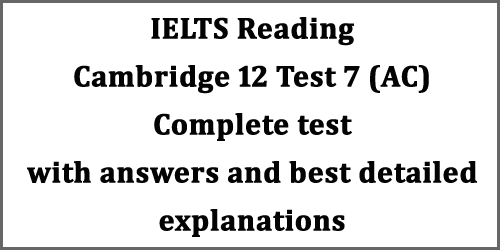 It can also be found as Cambridge 12 test 4 (academic reading). This is a targeted post for candidates who have major difficulties in finding Reading Answers. This post can guide you the best to understand every Reading answer easily and without much difficulty. 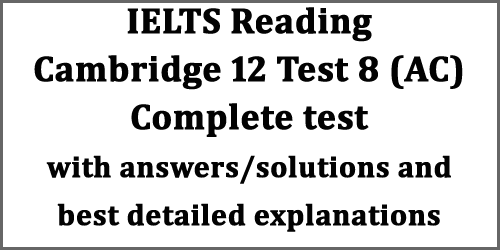 Finding IELTS Reading answers is a step-by-step process and I hope this post can help you in this respect. 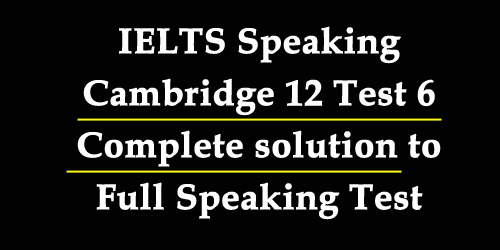 This IELTS Speaking post covers the complete answer package for Cambridge IELTS 12 Test 7 Speaking full test. Here, I’ve provided answers or solutions for Part 1, Part 2 and Part 3. The candidates may make changes where needed to suit the answers for their own circumstances. 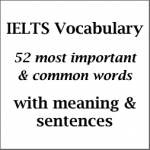 Hopefully, this post will come handy for the newcomers in IELTS who have major problems in understanding the test. 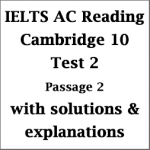 This IELTS Reading post deals with a total solution package for IELTS Cambridge 12 Reading test 7. 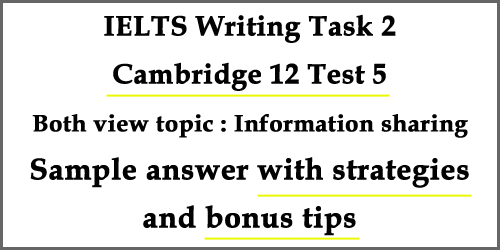 It can also be found as Cambridge 12 test 3 (academic reading). This is also another request post for candidates who have major difficulties in finding Reading Answers. This post can guide you the best to understand every Reading the answer easily and without much difficulty. 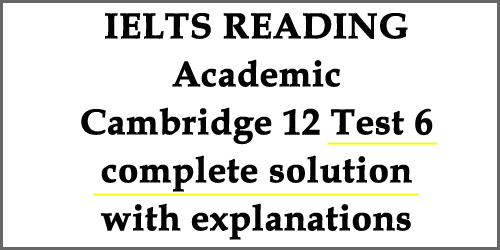 Finding IELTS Reading answers is the best step-by-step process and I hope this post can help you in this respect. 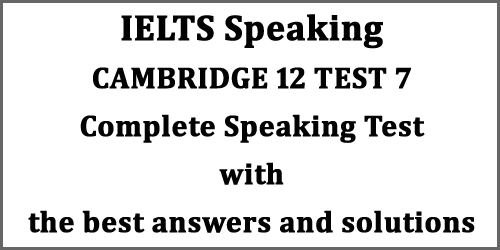 In this post, I’ve provided solutions or sample answers for Cambridge 12 Test 6 Speaking test. 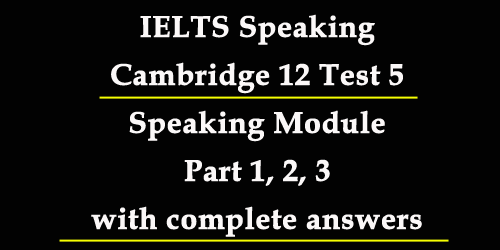 Candidates who are preparing for their IELTS exams recently can use this speaking test solution for their best practice. I’ve provided enough information in each sample answer. But this is a generic post, and so you can change the answers according to your situation or choice. 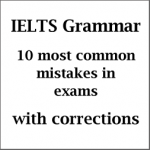 Remember to practice them with your partners or friends before appearing in the IELTS exam. This will surely boost your confidence. 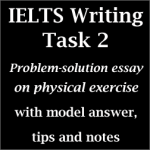 This post deals with IELTS Writing Task 1 Diagram (map). 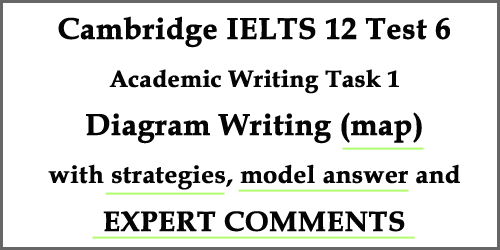 This diagram is taken from Cambridge IELTS 12 Test 6, two maps showing development planned in Islip town. The post clarifies your ideas about some maps and the band 8.0 model answer here gives you a general idea of writing a good answer which can lead you to a great band score. Expert comments below the answer will give you an idea of how your answer is judged. 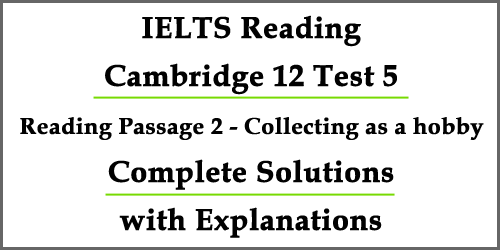 In this post, today we are dealing with a complete solution pack of IELTS Cambridge 12 Test 6 READING/ IELTS Cambridge 12 AC Test 2 READING. 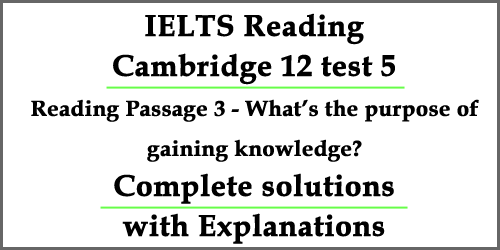 Candidates who have too much difficulty in finding the answers and explaining the answers for the reading module, this post may be a guide to how best and quick you can find the answers and how easily you can apply them in your next test. This will help you as a step-by-step process and clarify if you have any confusion.